An extra 60 counsellors were drafted in by the London Fire Brigade to help firefighters traumatised by the Grenfell Tower fire, the Victoria Derbyshire programme has learned. They were taken on as volunteers and the service has since decided to employ an extra four full-time counsellors. Documents seen by the BBC show its welfare and counselling team was almost halved between 2008 and June 2017. 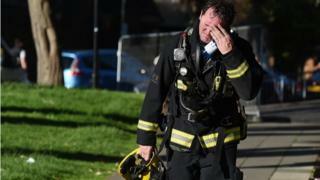 The London Fire Brigade said the mental health of staff was a "main priority". At least 80 people died in the fire in North Kensington on 14 June. More than 200 firefighters attended the tower block at the time, rescuing 65 people. The extra four full-time counsellors would effectively return staffing levels to those in 2008. The BBC understands there was the equivalent of 9.6 full-time counsellors working for the brigade in 2008. By the time of the fire, the number had been cut to 5.2. The London Fire Brigade is using its reserve budget to pay for the extra counsellors. But London Mayor Sadiq Khan has written to the government asking for it to provide extra funding for the fire service's staffing, as well as aerial appliances and improved breathing apparatus. The fire service did not confirm the extent of the support the 60 voluntary counsellors have given or if they are still being used. 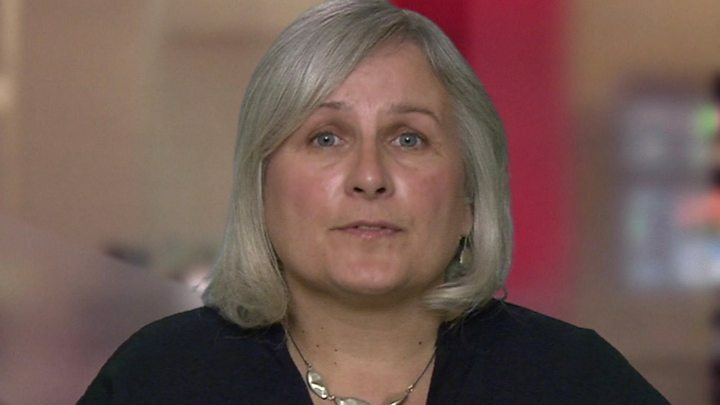 Siobhan McGee, a trauma specialist and former London Fire Brigade counsellor, said while firefighters were generally "very resilient people" it was normal for symptoms of traumatic stress to occur following a tragedy such as the Grenfell fire. "They may be experiencing things like physically shaking in their body, elevated heart-rate," she told Victoria Derbyshire. "They might have disturbed sleep, they might have nightmares, they might have induced images and flashbacks." She said over time, as trauma memory is processed by the brain, images and memories become less distressing. A spokesman for the London Fire Brigade said every firefighter who attended Grenfell was individually spoken to by a counsellor before they came off duty. "When they returned to duty our staff also had access to a counsellor, and the brigade counselling team was reinforced by officer support from the NHS and other fire and rescue services," the spokesman said. "Going forward, counsellors are visiting staff this week and carrying out a psychological health check of each individual and identifying further staff who might need support. "We have an on-call counsellor available to all staff 24/7. The ongoing mental wellbeing of all of our staff continues to be a main priority."